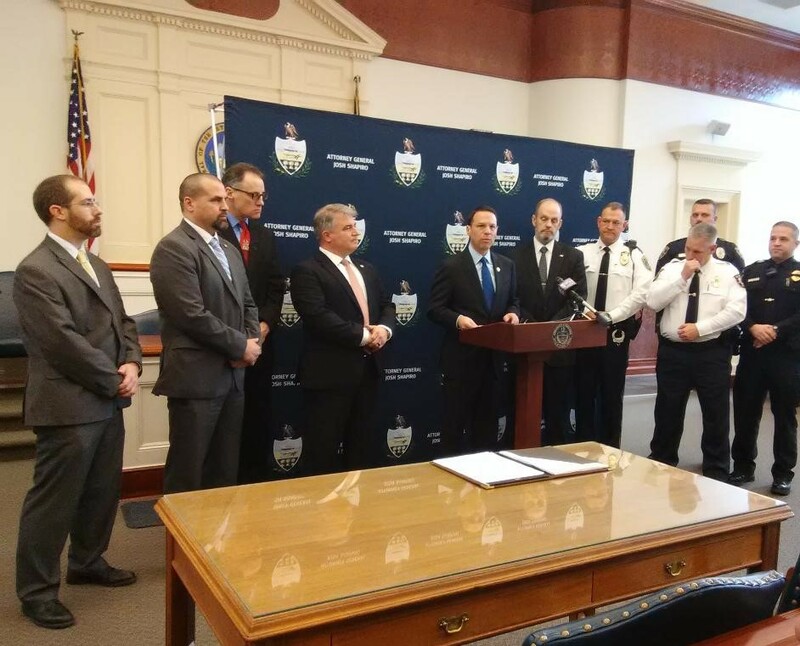 CLEARFIELD – Pennsylvania Attorney General Josh Shapiro was in Clearfield this morning to announce that law enforcement has shut down a crystal methamphetamine and cocaine ring that brought $1 million in drugs to the area. During a press conference at courtroom no. 1 at the Clearfield County Courthouse, Shapiro explained that Sondra McQuillen of Houtzdale was allegedly bringing the drugs from a barber shop in Akron, Ohio. 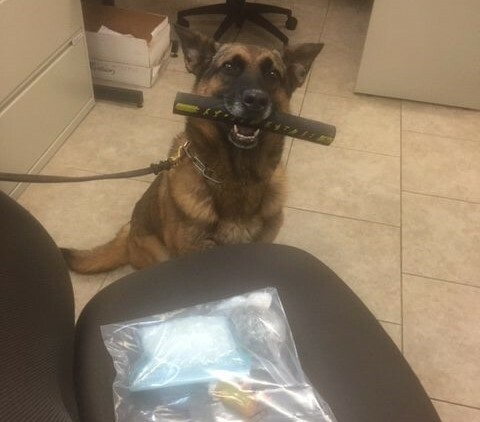 He stated that this included 10,000 grams of meth, which equals 75 doses, used every day during the 11-month stretch she was making the trips. “That is a significant amount of poison being injected into our neighborhoods,” Shapiro said. Originally, she was allegedly working with Donald Mullens, but after he died from a drug overdose, she continued the drug runs. She was arrested along with Jason and Joyce Merritts, who were selling the drugs, last fall. In September, when officials searched McQuillen’s home, they found her and Ken Quade, surrounded by additional quantities of meth and other drugs, according to Shapiro. This led to a grand jury investigation and the additional charges being filed against McQuillen, and charges against Quade and James Thomas, who was the one supplying the drugs in Ohio. Thomas was charged federally, according to Shapiro, in coordination with the Drug Enforcement Administration. Shapiro thanked all of the law enforcement officials involved including officers from Lawrence Township, DuBois City and Curwensville Borough police departments and said this was an example of the best in government with local, state and federal officials all working together. He added that he is proud to work along side them. “We will continue to fight this fight and collaborate,” he said. “We have been sounding the alarm on crystal meth for more than a year now. We are not letting up. District Attorney William A. Shaw Jr. also spoke thanking Shapiro for his leadership and his eagerness to work with local officials.